Calling all amateur actors — a producer for “The Blacklist” lost his pup … and he’s offering you your big break alongside George Lopez if you can find it. Hollywood prodcuer Joe Carnahan — who’s worked on flicks like “The Grey,” “The A-Tea﻿m,” and “Smokin’ Aces﻿” — is searching for a lost pit bull/chihuahua mix, Junior, who he rescued last year and had recently gotten adopted by a family in Oceanside, CA. We’re told things weren’t working out for that family after about a week, and Joe’s family was planning on picking up the dog today. Thing is … Junior got out of the family’s house and is now lost. But Joe’s got a creative reward for anyone who can find him. 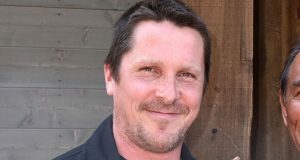 Joe put out a flyer describing Junior as well as the reward — $500 cash … and an extra role in his new movie “El Chicano” with stars like Lopez, Kate Del Castillo and Aimee Garcia. 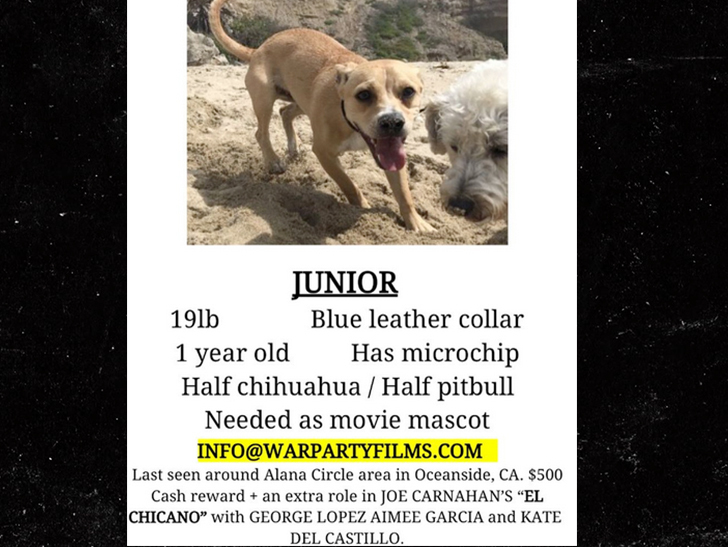 Anyone who finds the dog or has info about its whereabouts can email info@warpartyfilms.com. Bust out the dog whistles … this pooch is worth every second of screen time.